The Old Rectory is an early 18th century building, listed Grade II*. Much of the original house survives, most notably the interior panelling. The staircase is intact as is the layout of the original early 18th century house. The house was purpose built as a vicarage and as such is a rare survivor in Greater London and Surrey. It was almost certainly designed by the owner and a local builder without an architect, which was a common practice at the time. The new parsonage was built by Henry Byne (1665-1724) for the vicar of Carshalton, the Rev. William Hollier. 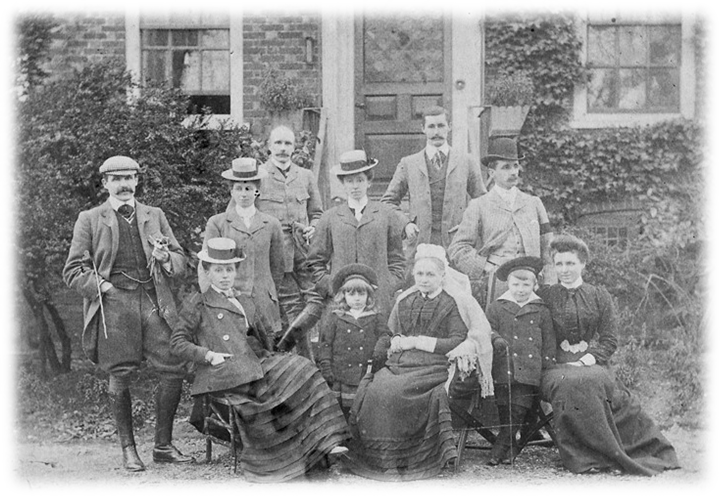 The Bynes were an old and well established Surrey family, an offshoot of the ancient Byne family of Sussex. Henry held the right, through the advowson, to appoint the vicar of All Saints Church, Carshalton and this right of presentation had been handed down for several generations. As the holders of the advowson, the Bynes were, in effect, the lay rectors of Carshalton. The house was built to a simple four roomed ground plan with basement, ground floor, first floor and attic using soft red bricks laid in Flemish bond with over-burnt black headers. This produced a handsome chequerboard effect. The front elevation faced east with large twelve pane sash windows, four on the first floor and three on the ground floor with an off centre doorway. Inside, each room was interconnected with no central corridor. On the principal floors, light flooded in from the large, south facing windows and the best areas of the house were panelled, with handsome doors designed to include a continuation of the dado rail that divided the panelled walls. When Hollier died in 1737, his widow, Elizabeth, continued to live there, paying the new vicar, Edmund Lodge, £25 per annum for the lease. After Rev Lodge’s resignation in 1759, the next minister was the Rev. Robert Gilbert, who also let the house to tenants. In 1776, Rev William Rose became rector of Carshalton. Because he, his wife and several of his children were buried in Carshalton, it was always assumed that the family lived in the Old Rectory until his death in 1829, but this was not the case. 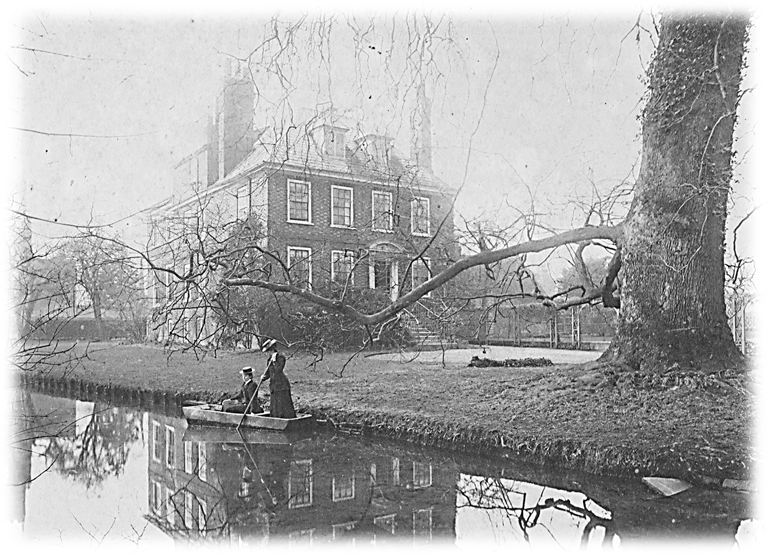 When Rose became rector of Beckenham in 1778, the Old Rectory became a second home to the family and the house was occupied by his parents, Jane and Joseph Rose. Joseph Rose was a renowned decorative plasterer and his company, Joseph Rose & Co, was responsible for the decoration of many of the Adam brother’s most famous interiors such as Osterley Park, Syon House, Audley End, and Kenwood. When William Rose’s son, Joseph, was curate at All Saints from about 1813 to 1815, it’s more than likely that he lived in the Old Rectory with his wife Lydia and their son. 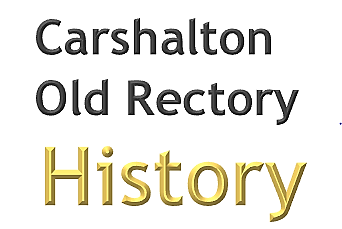 After that, the house may well have been lived in by William Rose’s daughters, Charlotte and Louisa, who were founder members of the Carshalton District Visiting Society in 1818. The advowson was sold to John Cator in 1797. Cator (1728–1806) was an English timber merchant and politician, who became a landowner and property developer, holding properties in Blackheath and Beckenham. On his death his estate was inherited by his nephew John Barwell Cator. When Rev. William Rose died in 1829, Cator separated the Old Rectory from the advowson and it was his brother, Vice-Admiral Bertie Cornelius Cator and then the Admiral’s daughter, Mrs Louisa Vernon who owned the house and let it to a succession of tenants. Louisa Vernon died in 1880 and after that date it‘s not known who owned the property until W. Minet is recorded in a land tax document of 1898. I know you will think me a most horrible vandal in wanting to pull down the Old Rectory, but as a matter of fact, if it was only a little bigger than it is, I much prefer the house to the Lodge, for it is much more interesting: at the same time, I came to Carshalton purely because I was interested in local work, and could not find a house to keep me in touch with the work without going much further away: even with the Old Rectory addition the grounds are small enough. I am quite aware that I shall be much disliked in Carshalton for cutting up the Old Rectory at all, but whatever is natural and beautiful in the grounds I hope to leave. Peatling must have dissuaded him as the house survived. A little later Mallinson moved to The Grange in Wallington and the Old Rectory and Lodge were bought to become the Southwark Diocesan House and the College of St Saviour in 1920. These buildings were leased by Carshalton Urban District Council in 1939 and finally purchased in 1943. During the Second World War, the Old Rectory was used as the headquarters of the Carshalton Women’s Voluntary Service (as well as council offices). When the war ended, the work of the WVS continued and in 1966 it became the Women’s Royal Voluntary Service. The WRVS remained in the house until the 1970s when many of the local branches were disbanded. The house became part of the Ecology Centre in the 1980s. It is now vacant. This is an historical appraisal of the Old Rectory which was carried out on 14th and 20th August 2015. It also incorporates the material gathered in a brief survey made on 6th April 2009. It was undertaken by John Phillips, for CORA, to ascertain those aspects of the building that are of historical and architectural importance. The most complete Georgian interiors are to be found on the ground floor, the staircase and one room on the first floor. Other rooms in the house have some notable architectural features. The two early photos of the Adams family capture a brief moment in the lives of this interesting family. We are searching for other early images of the house, particularly photographs of the interior. If you have any such photos and would like to share them with us, we’d love to hear from you.